A 5 ft orthopedic styled firm mattress from the natural sleep company. 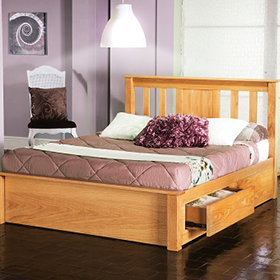 The Natural Sleep Ultimate Flotation 5 ft Mattress provides incredible comfort with a sumptuous layer of memory foam. You also get excellent support for your entire body, regardless of your weight or height as the thick layers mould to every curve. This relieves pressure on pain points, essential for those on bed rest or who prefer to sleep on their side in order to stop snoring.The interior material quickly adjusts to your body weight to ensure that sudden movements don’t wake you or your partner, while the insulating properties help to keep you warm throughout the night. Selct old mattress removal checkbox if desired. Delivery of The ultimate Flotation Mattress in 2-3 weeks.